The training program of the CITYCELL is a vital link in the process of converting the recruit into productive representatives. The money, which is spent on recruiting and selecting people, may be wasted if their selection is not followed up with the proper training programs. Additionally, experienced reps may not improve or even maintain their productivity if they are not provided with an adequate amount of continual training. So the purpose of training in the CITYCELL is to relate and improve the specific performance related skills, attitudes, perception and behaviors require people’s success with the state of readiness of the force. CITYCELL is the good company of telecom services, they always want to serve their best. That is why, they have very strong and effective training department to train the best training to their employees. At CITYCELL the top-level management believes that their primary competitive advantage comes from their employees. In the ever-changing mobile industry, all of they must continuously upgrade their skills and knowledge in order to maintain this competitive advantage. Their training programs are based on the job natures and the performance of the employees. Their goal is to attract, retain and motivate the very best and to do that they support training, development and business education. This report was assigned to us by course instructor of “Human Resource Management” department of BBA University of Information, Technology & Science, at early in the semester and proposed to submit on 19th December, 2011. It is given to know the real life situation in so that we can increase our knowledge simultaneously beside the theory in the book. Primary objective: The primary objective of this project is to learn about the training and Development process of the CITYCELL mobile company. To give detailed information about training and development process of the company. To focus on the major activities of training and development process and under which division these work. Show how this activities relate with the organization overall strategy and objective. To know how affectively these activity work for the company. To focus on the extent and nature of any formal evaluation of the activity’s effectiveness. CITYCELL (Pacific Bangladesh Telecom Limited) is Bangladesh’s and South Asia’s pioneering mobile communications company in the country. CITYCELL is a customer-driven organization whose mission is to deliver the latest in advanced telecommunication services to Bangladesh. The company offers a full array of mobile services for consumers and businesses that are focused on the unique needs of the Bangladeshi community. CITYCELL’s growth strategy is to integrate superior customer service, highest standards of technology and a choice of packages at affordable rates. CITYCELL is focused on innovation and creating new ways for customers to stay in touch and to do business. CITYCELL is offering a wide range of competitive pre-paid and post-paid mobile packages. The company operates a 24-hour call centre with well trained operators to respond to customer queries. CITYCELL’s customer services are open 7 days a week to ensure customers can access CITYCELL at any convenient time. As a CITYCELL post-paid customer, CITYCELL Online Self Care service gives you the opportunity to view bill history, current bill status, and payment record. Department supervisor gives the new recruiter some orientation about the department’s job procedures, and make him or her familiar with the working environment (the other six days). Training process is the most important for the company to achieve their goal properly. So the company follow some steps or process which very effective to increase knowledge and performance of the employees in the company. Why CITYCELL train their employees? Primarily, the importance of training stems from the rapid change in the environment. As a developing country, people, in general, are not very aware about the technological changes that are taking place. Training process is conducted to provide the fresher the basic knowledge which is required to perform their specific job perfectly. To implement the basic knowledge, CITYCELL provides practice session for the new employees. CITYCELL believes on the more practice the more perfect employee. That’s why they prefer more the practice session. Training provides the people with better improved knowledge, working habits, working techniques which are essential part to achieve both employee and company satisfaction and thus retaining them in the long run. Training programs also help trainee to develop positive attitude about themselves and company as a whole. Therefore, training works as one of the most vital weapons to achieve overall, long- run goals of an organization. How the training process is conducted? In-house training: This training is provided through the vendors. Employee supervisors or line managers provide a coaching for the new employees. In coaching, lectures are delivered to provide knowledge related to the specific jobs. A lecture is the best way to present a basic outline of a subject in a shorter time to a larger number of trainees than any of the other techniques. FOR example, when information about CITYCELL’S products, new services, and new findings in the research and company information, market condition is to be given to the trainees then the training department adopts lectures. With this technique, a trainer can handle a higher number of participants and give greater volume of information within a short time period. Foreign training: To implement new technology CITYCELL have to train their new employees from foreign countries. They have arranged for international training for their employees according their performance .In this case the employee has to sign a Bond assuring the company that he will not leave company next few years. This duration varies based on the training. Employees are mainly sent to Malaysia for this higher training. The cost of relocations, the whole expense of food and housing are providing by CITYCELL Company as long as they are in the abroad for training. Job rotation: CITYCELL provide job rotation to the entry-level employees. In this process they don’t send their employee of one department to another department for training. What they do is that they just send employee of one branch to another or one region to another. Discussion: In CITYCELL, when any new system is launched or when there is any need for changing the technique or policies, discussion is used as a training method where both the trainer and the trainees can share their thoughts and opinions. During the leadership training, induction training as training on advanced selling skill; the training department usually prefers discussion. Sometimes, when cases are given to the trainees to solve the problem and suggest recommendation, group discussion also takes place among the trainees. Prepare, maintain and update training related database. A primary objective of many training programs is to teach the force how to be more productive. Usually, a person’s productivity will increase with experience. But if s training can substitute for some of the needed experience, higher productivity levels should be reached earlier. Training gives new employees the skills required to perform their jobs perfectly. So make the training program perfect CITYCELL plans some steps, which are helpful for the fresher. CITYCELL follows the following steps to conduct training. Timing of the training has two basic attitudes. Some organizations prefer training first than go for the job, where as some organizations want training based on after job performance. In CITYCELL, the Training programs are made as yearly basis for providing training on techniques and skills for all level of their employees including the ones from other departments because they believe that in a organization everybody needs to have skill. The marketing department, sales department and HR department altogether do the overall plan. This yearly plan for training is enhanced by the monthly meetings held in every spots where CITYCELL has subsidiaries. These meetings are referred to as Pre- cycle Briefing meeting. These meetings try to find out in which aeas and for which employees training is needed. In the beginning of the training, expectations from each participant in the training program are assessed and according to that the managers design the content of the training. At every meeting, each department discuss and analysis the performance of the worker of their department in the past month and identifies whether they are performing accordingly or not. If someone fails to perform and cannot reach the objective then the need for training arises. Plan of every individual department also has significant impact on the training plan because only proper training can ensure the implementation of the plan. The yearly plan for providing training makes sure that it can be helpful for the achievement of the objective of the plan. The training department plans the training before 2-3 months from the time intended to provide the training to the employees. The Training Manager is responsible for preparing the budgeting, plan on which training for whom in all department, planned actions, and also give guidelines to the Human Resource Department for recruitment and selection. However, Training Manager specifically works with the related training. According to the company’s perspective, everybody should have knowledge about their related job. So, the Training Manager plans what type of training is required for new recruits and the existing personnel and how the training is going to change the current performance and will help in achieving the desired level of performance. Both the managers analyze the performance of the trainee after attending the training program taken place in the last month and set strategy for the next month’s training plan. Where training should take place:v Training can be provided in both centralized and decentralized manner. Centralized training occurs when all the people come to one central location (often home office) to have training. On the other hand decentralized training of people is usually held in field or regional offices. CITYCELL follows both centralized and decentralized training. General management training program for the top level executives are mainly held in the home office because centralized school normally has more formal facilities for training than are Human Resource Division and Customer Service Division of CITYCELL. As top-level executives need more advanced training, that’s why, it usually held in the head-office. On the other hand, those whose works are mainly field based, they often have to go with their senior people to the field, have to do on-the-job training, attend seminars, conferences etc to increase their outer knowledge. A trainer is the person on whom the success or failure of the whole training program is dependent. Because each has certain advantages, it is not unusual to find organizations using all these three types as well as using one or two types. It basically depends on the size of the firm, the characteristics of the product line, the focus of the training where the sessions are held etc. CITYCELL has both line executive trainer and outside specialists. The HR manager and senior supervisor usually train their own force. In that way, the trainer can get better understanding about the laggings of their force and can take necessary steps according to that. On the other hand, force also get known environment because of their own supervisor as their trainer. 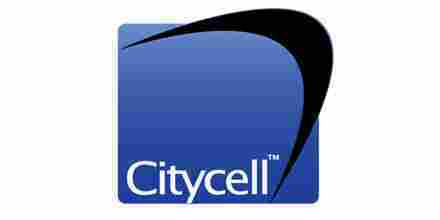 CITYCELL also bring outside specialists from abroad like Malaysia. In this way, they get the most advance and recent information from their competitors. After each training session, each must have to submit an ‘annual assessment’. In the annual assessment, each trainee is asked to do report regarding the training program and is asked to do presentations on the items they have learnt. During the training, quizzes and assignments are also given among the trainees. The effects of training on their performance are evaluated through the performance they have done after taking part in the training compared to the performance they used to do before the training and by this the organization measure the effectiveness of that training program. The trainees who have gone abroad for attending the training program are required to submit a report regarding on the materials taught in the whole training program. This type of evaluation helps both the trainers as well as the trainees. The trainees can compare their own performance and try to improve according to that. The trainers can judge the effectiveness of training and can develop better strategy for the upcoming training program. Management development is any attempt to managerial performance by imparting knowledge, changing attitudes, or increasing skills. For the past few years management developments focus has been shifting from preparing managers to fill higher level slots to preparing them to meet the challenges of managing in past paced environment. Increasingly, therefore, the emphasis is on developing a manager’s ability to learn and make decisions under conditions of rapid change. The management development program may be aimed at filling a specific position, such as CEO, perhaps with one of two potential candidates. When it is an executive position to be filled, the process is usually called succession planning. Succession planning refers to the process through which senior level openings are planned for and eventually filled. Why Development is needed for the employees? When CITYCELL selects their own employees to fill the vacant higher positions they look for the employee who are ready to get the higher position. As they do not follow the personnel replacement chart or position replacement card they have to make those employees ready to acquire the higher position CITYCELL conducts development program for them. It helps those employees to have the ability to take decisions those are required in the higher-level position. Those who deserve the higher position receive a development process conducted by CITYCELL but it’s true that their development programs are not well organized though they take some necessary steps for developing their employees who are working inside the organization. How the development process is conducted? : Before starting a development program they analyze the employees to what extent they need the development to be fit for the higher position. To analyze this they go through SGA (skill gap analysis). On the basis of the SGA every employee has to have a yearly 40 hours development process. It depends on the current skill of those employees. Every employee of CITYCELL (from manager to managing director) goes through a career succession planning. Through this career succession planning employees develops their skills to deserve the vacant higher position. Job rotation: CITYCELL provide job rotation to the managerial employees also. But the idea of CITYCELL’s job rotation policy is limited only to the department. That means they don’t send their employees of one department to another department. What they do is that they just send employee of one branch to another or one region to another. For example, for job rotation they send Marketing manager of Chittagong branch to the Marketing department of Dhaka branch as a manager which position is vacant, but they don’t send a marketing manager to the sells department or HR department or any other branches. Junior Board: It is used for operational decisions in most cases. But sometimes it is used to take very few strategic decisions (example: to design training program). To attend junior board all employees should already receive the initial coaching. In junior board top level managers have a sit with the sub-ordinates and encourage them to provide possible suggestions regarding a decision. The sub-ordinates try to give suggestions through brainstorming using the knowledge provided in the initial coaching. They don’t have action-learning program. As a result employees don’t get scope toØ increase their project skill and to know about the problems of another department. They don’t concentrate on off the job training. We know, off the job training isØ sometimes more important to know about the job. Review system is not strong enough. As a result it becomes quite difficult toØ understand how effective the training was. Lack of motivation in the training side. CITYCELL don’t motivate that much whileØ employees took training. They took training just like they are doing their regular jobs. Less scope of developing for the senior employees. Senior employee especially theØ aged employees don’t have sufficient idea about the changing environment of technology. HR manager dose not share their information of HRM process with other companies as a result there are less chance to improve that process. Recommendation and ways to implement those: – In order to solve the problems with the existing training and development system, we recommend the following suggestion. The ways of implementing those recommendations is also discussed. A time horizon for the training. It will be selected by the discussion with the employees. Then the trainer would be selected. They don’t need to hire new trainer for this, they can provide off the job training with their existing trainer. Sufficient training materials should be provided to the employees. The progress of the trainee should be checked. b) They should motivate employee to give more concentration on their training. The reason is that motivations don’t cost enough money, but it helps to the employees to learn rapidly. If they are motivated and learn the job then not only they will be benefited, at the same time they will serve the company with their best effort. In order to motivate them, CITYCELL can provide them various incentives, like- informing them about the benefit of the training, how it will help them, etc. c) Senior employees should also be developed always. We already mentioned that in CITYCELL senior employees do not get enough facilities and time to develop themselves. As a result they always have lack of idea about the technological change. In order to provide training for the senior employees CITYCELL may need to provide different sessions like action learning, case study method, management games. So, it may cost CITYCELL. But in the long run, they will be benefited. The flourishment of any industry requires combined efforts and co-operation from several parties .Social, political and macro economic environment play pivotal role in this regard. Though Square Textile is a newly Ventured Company in the respective sector, its growth and expansion is praiseworthy. It’s contributing the country and serving the nation in different ways. If it can up hold it’s much toward advancement, it will be able to set a role model in our country. The system, the management style, the policies & decentralized decision making environment is really remarkable. This report is basically an attempt to identify the areas which need to be improved. In this era of technology, the “Information” is the key to success in the business. This means that the successful businessman will be who will have the right information at the right time. This comment leads to the conclusion that the Information Sharing Process should really be improved. The organization structure we have seen that its span of super vision is too large. A number of departments report directly to the general manager. If the number were less the efficiency and productivity of the organization might be increased. Quality control department should remain prompt always. So that it can maintain a certain level of standard as per the market demand to capture the foreign market share it should strive more. The overall analysis is indicating that the company’s progress has mainly attained through dedication of employees. The effectiveness of its management, their willingness to take advantage of opportunities and face challenges of changing economic picture, this all contributes to the very much improved and sound position of company. This is really appreciable for the devotion and hard work of all the employees of the company. Finally we can say that, to their employees. At CITYCELL is recognized as a best brand in Bangladesh and this is driven by our persistent pursuit of quality and technology, putting it clearly ahead of the rest. The future with CITYCELL is promised to be exciting as we strive to employ the best resources and latest technology in offering many more innovative and exciting products and services.